Chinese Writer Books Balls of Opium, Liao Yiwu Biography, China is 'Threat To World', Liao Yiwu Balls of Opium books Latest news 2019-2020. Chinese Writer Books Balls of Opium This Latest News of 8 April From SSCBANKGK while reading some new article on China and Pakistan Side. So we found a International News and Books Balls of Opium which claims China is Threat to World. 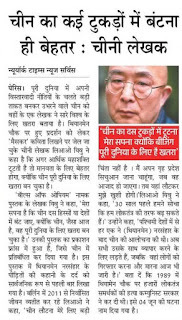 Liao Yiwu is Chinese writer who has written book about the Tiananmen Square protests, Economic Superpower "Splits Up". Chinese Writer Liao Yiwu (Balls of Opium) He is also a Freelancer, Writer, Poet,musician and also a Free Speech Journalist on Social Media where he speaks about what the chinese democracy wants. You can also read our newspaper cutting that mention short summary of Balls of Opium. China Expansionism Policy (Meaning in Hindi Vistaarvadi Niti (Policy)): Last Year China Strongly Critised to Hotel Chain Marriot for listing Taiwan, Tibbet, Honkong a seperate Countries. 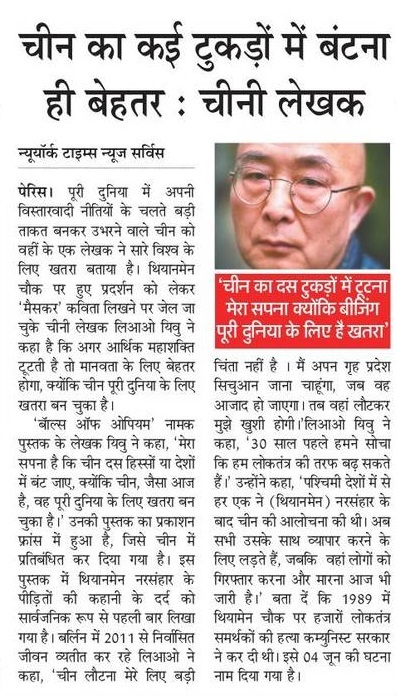 Liao Yiwu dream is to make china in to 10 pieces.So that other Chinese may live according to their rules. About Liao Yiwu Biography: He is currently living in Berlin since 2011. Poet also told in media press media after someon ask when he will return to china that he says Returning to China is not big concern for me. I first want to go my homeland Sichuan. Popular: He was Jailed for writing Poem called "Massacre" about the Tiananmen Square protests. Communist Party Effect in The World: In Tiananmen Square 1989 China Communist Party has Killed Thousand of Democracy Supporter People and It was 4 June, 1989 when this incident happens.